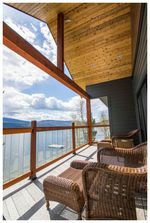 LUXURY WATERFRONT on Shuswap Lake in the exquisite community of MELO BEACH PROPERTIES, with south facing custom built waterfront home! 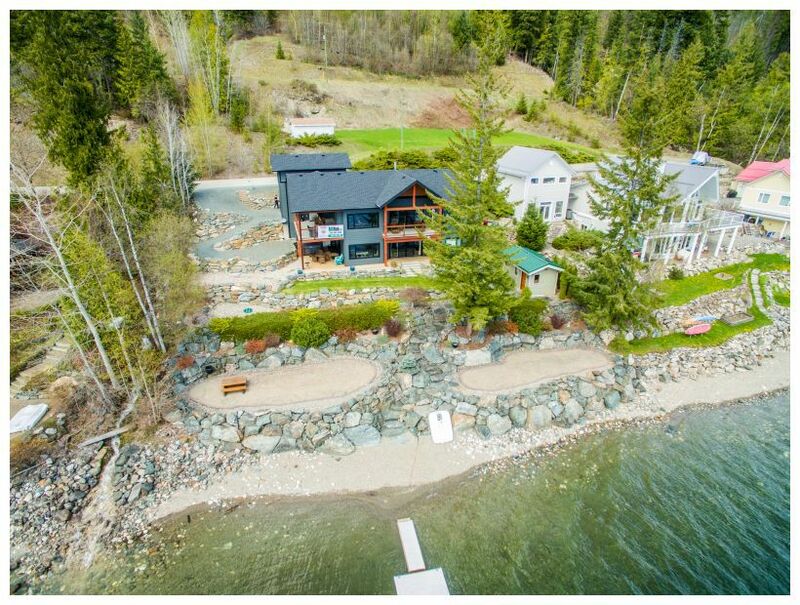 120 Feet of professionally landscaped beachfront, with floating dock, buoy & lakeside patio stone decks. This professionally built 2014 home offers a level entry walk-in bungalow with a fully developed walk-out basement. 4 Bedrooms, 3 Bathrooms, Dream kitchen, Great Room, Family Room, Games Room & Recreation Room offering tons of room for everyone! Custom designed by lifetime, 2nd generation Shuswap family with no detail spared. Main floor offers great room with gas Fireplace, Luxury ensuite master, extensive decks. Dream kitchen includes island, granite tops, 2 sinks. Balance of 10 year New Home Warranty is included by professional builder. Very private & serene, this 1/3 acre lot is bordered by a creek, offers extensive artistic rock retaining walls, level patios & lawns w/irrigation. 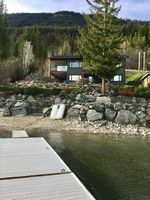 The 40 ft dock extends the property out into the Shuswap Lake with easy access to it's 1,000 Kms of shoreline. Minutes from the Anglemont Golf Course & Marina; Melo Beach is a gated community with bare land strata lot ownership that offers water, septic field & gated road for only $84/month. Separate outdoor washroom bathhouse is lakeside. 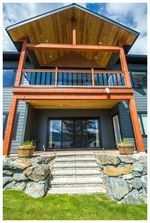 Call Rob McKibbon for your personal viewing appointment at 1-866-463-2791 or (250)804-6288. SOLD@BIGRob.ca, Thanks for your interest!